Mumford & Sons played a BBC Radio1 Live Lounge Special with Fearne Cotton at the BBC Maida Vale Studios in London yesterday (25 September 2012), showcasing some new songs, a couple of older ones, and even dropped in an Alt-J cover. 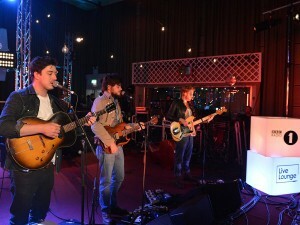 They were in the BBC studios promoting new album Babel, which sees the band stand still rather than move forward. Hopefully the next album will show some progress, but the Alt-J cover is nice. Thanks to seamiedev for the upload.